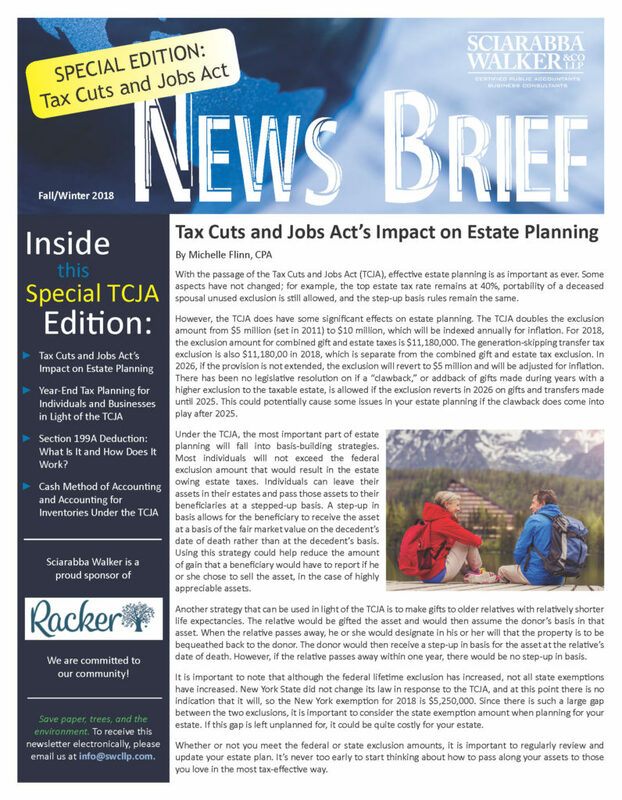 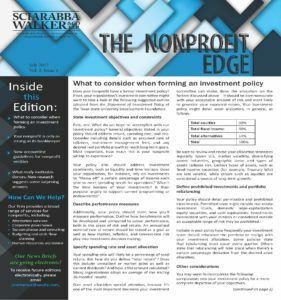 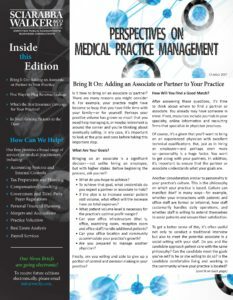 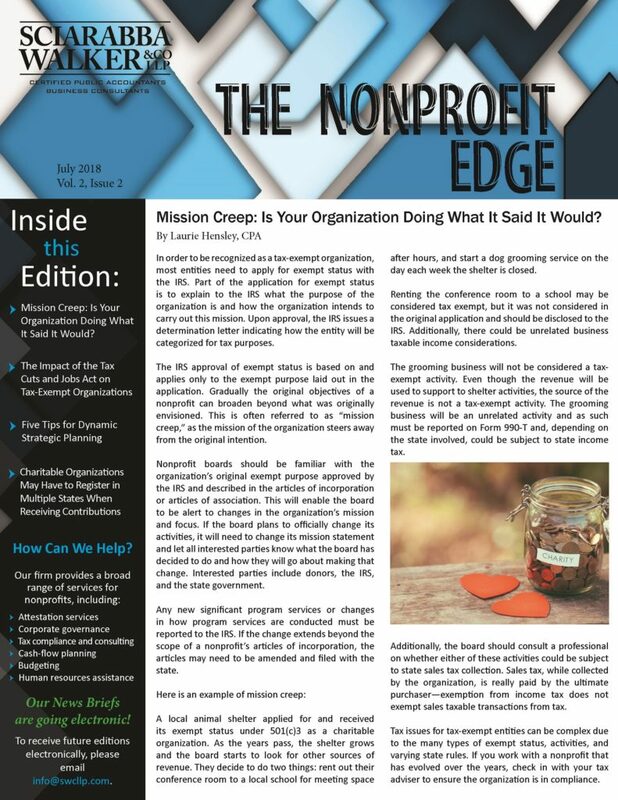 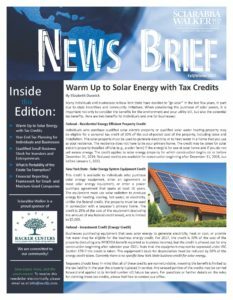 Sciarabba Walker publishes a free general News Brief annually as well as medical and nonprofit editions to provide clients and community members with up-to-date business, finance, and accounting news. 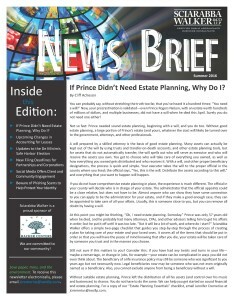 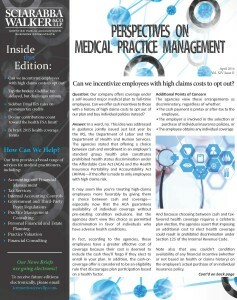 To sign up to receive our News Briefs via email, contact us at info@swcllp.com. 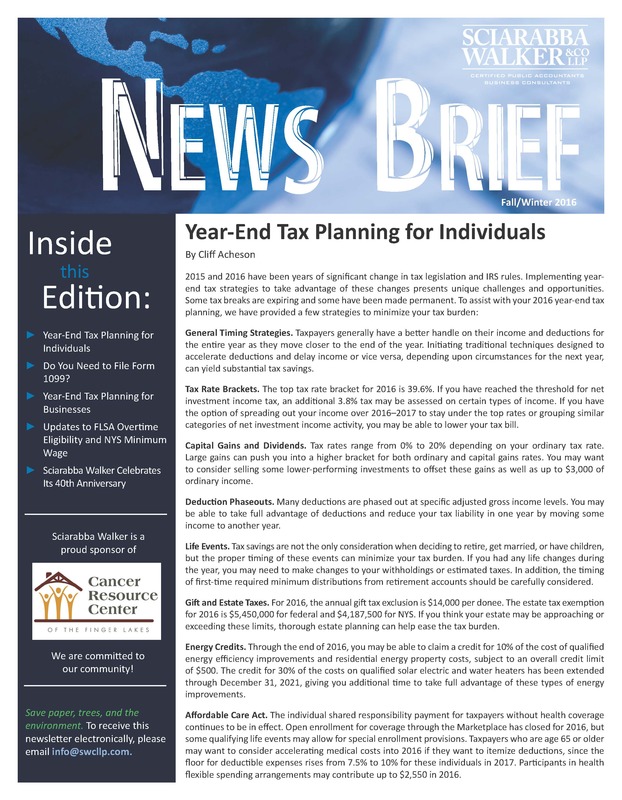 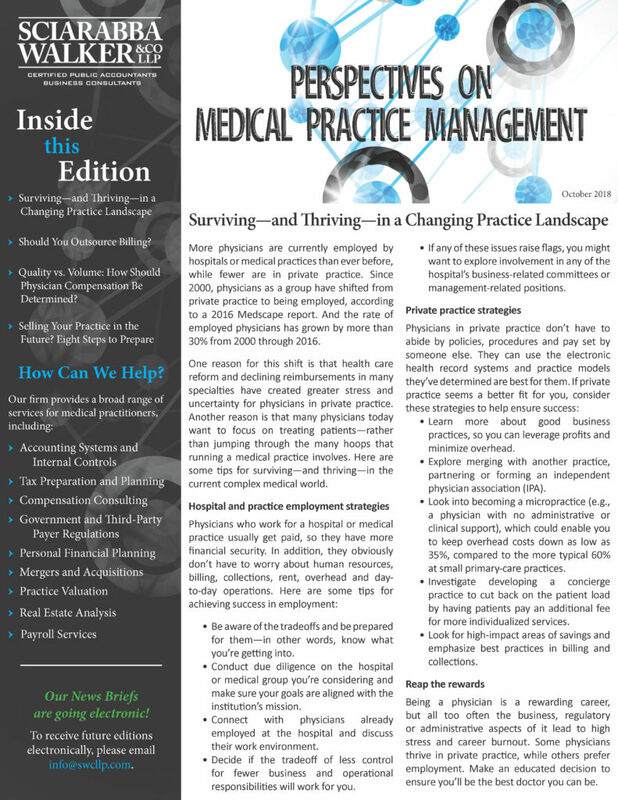 Click any of the below images to view the News Briefs in PDF format.